The Hills Health Clinic is a Traditional Chinese Medicine Clinic in Castle Hill, Sydney that specialises in high-quality medical services such as acupuncture, remedial massage and herbal medicines. 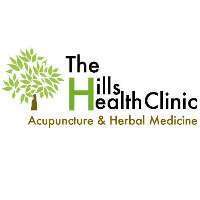 The Hills Health Clinic is a Traditional Chinese Medicine Clinic Specialising in Acupuncture, Herbal Medicine and Remedial Massage. We Also Provide Multiple Modalities such as Cupping in Combination with Acupuncture Treatment. Traditional Chinese medicine offers a special philosophy of health and disease treatment. It uses a number of modalities such as acupuncture and Chinese herbal medicine for both treatment and prevention of disease. All forms of treatment are used to help our body return to its natural state of harmony of Yin and Yang. Acupuncture is widely recognised as an effective treatment for a wide range of muscuoloskeletal and neurological disorders. Conditions such as chronic pain, shoulder pain, lower back pain, sciatica, fibromyalgia, tendonitis, arthritis, etc. Cupping is an ancient technique that is still used by modern practitioners. This form of treatment is usually performed as an alternative to acupuncture. Cupping draws blood to the external capillaries of the body, and as a result minor weals or bruises may be left after treatment. If you are looking for the best Traditional Chinese medical clinic in Castle Hill, don't hesitate to call The Hills Health Clinic today! We specialises in Acupuncture, Herbal Medicine and Remedial Massage. We Also Provide Multiple Modalities such as Cupping in Combination with Acupuncture Treatment and a special philosophy of health and disease treatment.